Featuring a special protective finish to guard against wear and tear, the IdeaPad 320 will easily withstand whatever life throws your way. Powerful latest generation AMD processing, plus plenty of memory, guarantee lightning-fast responsiveness. Run multiple programs simultaneously, and transition seamlessly between web tabs, you'll be able to multi-task with ease. The IdeaPad 320 offers High-Definition resolution on a brilliant 15.6-inch display. And with anti-glare technology, you'll enjoy true visual clarity when you watch movies, browse the web and more. Walmart Protection Plans [sold separately] for laptops covers accidental damage like cracked screens and liquid damage, as well as battery, mechanical and electrical failure from normal use. Featuring a special protective finish to guard against wear and tear, the IdeaPad 320 will easily withstand whatever life throws your way. Powerful latest generation AMD processing, plus plenty of memory, guarantee lightning-fast responsiveness. Run multiple programs simultaneously, and transition seamlessly between web tabs, you'll be able to multi-task with ease. The IdeaPad 320 offers High-Definition resolution on a brilliant 15.6-inch display. And with anti-glare technology, you'll enjoy true visual clarity when you watch movies, browse the web and more. Walmart Protection Plans [sold separately] for laptops covers accidental damage like cracked screens and liquid damage, as well as battery, mechanical and electrical failure from normal use. Operating system: Windows 10 Processor: AMD A12-9720P Quad Core Processor Display: 15.6" HD LED Backlit Anti-Glare Display Memory:Â 8GB (4GB OnBoard + 4GB SoDIMM) DDR4 1866MHz RAM Internal storage: 1TB 5400 RPM Hard Disk Drive Graphics: Integrated AMD Radeon GraphicsUSB Ports: 1 x USB Type-C Port and 2 x USB 3.0 Ports Optical Drive: DVDRW Audio: 2 x 1.5W speakers with Dolby Audio Battery life:Â Up to 4.5 Hours Wireless: 802.11AC Wi-Fi and Bluetooth 4.1 Combo Webcam: Front-Facing 0.3MP Webcam with integrated microphone Product weight: 4.84 lbs Color: Platinum GreyWalmart Protection Plans [sold separately] for laptops covers accidental damage like cracked screens and liquid damage, as well as battery, mechanical and electrical failure from normal use. After doing a lot of research, I purchased this laptop on January 29th, I received it Via Fedex today January 31st.. First of all I will say I am a die hard apple fan and have been long before an Iphone existed.. that being said Iâm not fond of windows no matter what version it is. 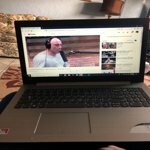 I have the latsest Ipad and Iphone and just couldnt justify spending $1000.00 plus for a MacBook Or Macbook pro when their is very little that I can not do on my Ipad. However I have run into situations where I needed an actual computer. I will say this is quite a laptop, has a ten key which is a plus for me. I was very aware all the reviews prior to purchasing, the battery life not an issue.. Just be near an outlet and plug it in. As for windows, well its windows.. Deal with it or fork out the extra money for a MacBook.. I am very please with my purchase for what this laptop offers you wonât find anything comparible for the price unless you buy a refurb... This is by no means a cheap laptop. 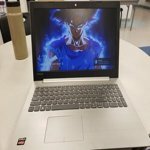 Thank you for choosing the Lenovo IdeaPad 330-15 laptop. This model ships with a 2CELL 30WH, Lithium Polymer battery, with a battery life of up to 4 hours, depending on the work that the device is performing. With regard to learning your way around Windows 10, you may want to try YouTube.com (just type that address in your browser address window). There are hundreds for free instructional videos there about Windows 10. Just type Windows 10 Introduction in to the YouTube search window. You can watch free videos there that will show you the basics all the way up to tips and tricks videos and they're all free. Thank you for choosing the Lenovo IdeaPad 320-15 laptop. We are pleased to hear that the value, features and performance of the IdeaPad 320-15 meets your computing needs so well. Thank you for choosing the Lenovo IdeaPad 320-15 laptop. We are pleased to hear that the IdeaPad 320-15 is working out so well for you. AMAZING computer, great for gaming and work!! The laptop came packaged in a high-quality box, as soon as I opened it up, I began charging. When I turned it on, it booted up fast and setup was simple. I love the windows 10, and the FPS on most games I ran was averaging 54 FPS. great for editing use on videos, and I use it for work and home. The storage is 1 TB, enough for saving every document you'll EVER write. The only suggestion I make is to buy a wireless mouse, as the trackpad is alright, but a mouse is better. Would recommend to anybody purchasing a laptop. Thank you for choosing the Lenovo IdeaPad 320-15 laptop. With regard to the touchpad, you can make adjustments to the touchpad in your system settings. You can get there by clicking on the magnifying glass at the bottom left of your Windows 10 screen. Type "touchpad" in the search window. Select "Mouse & touchpad settings" from the list of choices. You can make general adjustments to the touchpad there. You can also select "Additional mouse options" for more detailed adjustments to the touchpad sensitivity by increasing the delay of the touchpad. Sets up in a snap!! Awesome purchase. I had decreased brain function because I had pneumonia when this arrived. I'm also not very tech savvy. I had this set up in a matter of minutes all by myself. I just knew one of my sons was going to have to help. I'm very happy with my purchase and I would do it again. 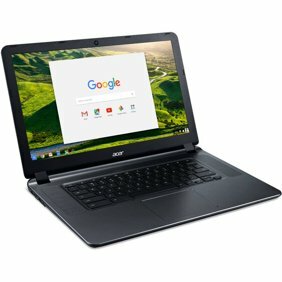 This is a very good laptop for a great price. It is good for all my needs. It is not heavy and the screen is a nice size. It did not come with a ton of bloatware like some others I have purchased. It has a decent battery life, so I can use it quite a bit unplugged before the power runs down. It has plenty of memory for me and storage space. I am glad to have the optical drive as well, since many manufacturers are leaving those out now. My only complaints are problems with the start menu at first, but mainly the touchpad driver does not allow one finger scrolling and I was not able to rollback to a previous version. I did a significant amount of research before buying this laptop and was blown away by the specs which is why I bought it. Don't let the inexpensive price give you the impression that this laptop is not packed with speed and power. It is a real gem! Thank you for choosing the Lenovo IdeaPad 320-15 laptop. We are pleased to hear that the performance of the IdeaPad 320-15 meets your computing needs so well. Works well so far but geez this thing looks like the first laptop ever made. It is wayyy too huge. I know it says the size in the description but I just wasn't expecting something so big. I prefer something that's much easier to carry around and this certainly isn't it. 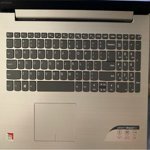 The Lenovo IdeaPad 320-15 laptop is a full size 15.6" (screen size measured diagonally) laptop. It measures just 14.88 x 10.24 x 0.90 inches and weighs just 4.84lbs. 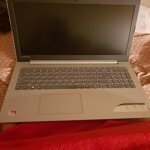 Worst laptop I ever had in my life. It is crashing from day 1. I connect laptop with tv through HDMI, it crashes more when do that, while playing videos it sound just crumbles and often ending up shutting down or restart, please find attached screenshot which comes at times. I am going to return it tomorrow since it's still within 15days warranty period ! 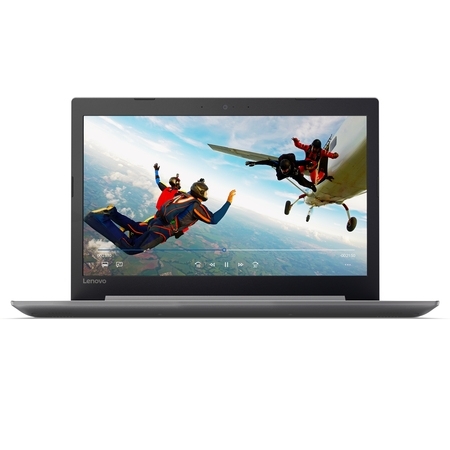 We are sorry to hear that you are having issues with your Lenovo IdeaPad 320-15 laptop. Be sure any software you installed is compatible with Windows 10. There is no need to install Microsoft Office software. The software is already part of the operating system, you just need to activate the software with a purchased product key. If you have installed a copy of Microsoft Office, this is conflicting with the existing copy on the system and this will slow your system down. If you have installed a 3rd party anti-virus program, be sure that Windows Defender is turned off and that the trial version of McAfee Anti-Virus software is uninstalled. There can only be one anti-virus program on the system. 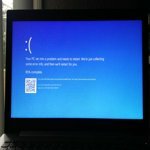 You may need to restore your system to original factory default settings if any of the programing errors have occurred. You can do that by typing "restore" in the Cortana search window. Just click on the magnifying glass icon at the bottom left of your Windows 10 Desktop. Click on "Reset This PC" Then click on "Get Started" and follow the on screen directions to restore to factory defaults. If the problem persists, we recommend you contact Lenovo Tech Support at: 877-453-6686. I hate this computer. I have used it for less than 1 week. It is slow. If I try and use it without it being plugged in, I lose about a percent of battery a minute. The battery lasts less than 2 hours. The screens are dull and color not vibrant. I researched and went back and fourth between this and a dell. I obviously chose the wrong one. I will be returning this computer. The Lenovo IdeaPad 320-15 laptop ships with a 2CELL 30WH, Lithium Polymer battery, with a battery life of up to 4 hours, depending on the work that the device is performing. For maximum battery life, be sure there are no unwanted programs running in the background, draining the battery. 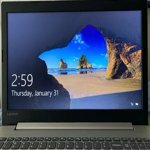 Here is a link to some tips for finding out what is draining your battery:<br />https://www.laptopmag.com/articles/battery-saver-windows-10. Additionally, to maximize battery life, try changing your power management setting to a more conservative one. You can do this in the control panel, in the power management category on your system. Select a more conservative power management setting to extend battery life.